Wystan Hugh Auden was born today, February 21, in 1907. He was an English-American poet. W.H. Auden's poetry was noted for its stylistic and technical achievement, its engagement with politics, morals, love, and religion, and its variety in tone, form and content. He is best known for love poems such as "Funeral Blues," poems on political and social themes such as "September 1, 1939" and "The Shield of Achilles," poems on cultural and psychological themes such as "The Age of Anxiety," and poems on religious themes such as "For the Time Being" and "Horae Canonicae." "Funeral Blues" is also known as "Stop All the Clocks," and is remembered from the film, Four Weddings and a Funeral. He was born in York, grew up in and near Birmingham in a professional middle-class family. He attended English independent (or public) schools and studied English at Christ Church, Oxford. After a few months in Berlin in 1928–29 he spent 5 years (1930–35) teaching in British public schools, then travelled to Iceland and China in order to write books about his journeys. In 1939 he moved to the United States and became an American citizen in 1946. He taught from 1941 to 1945 in American universities, followed by occasional visiting professorships in the 1950s. From 1947 to 1957 he wintered in New York and summered in Ischia; from 1958 until the end of his life he wintered in New York (in Oxford in 1972–73) and summered in Kirchstetten, Lower Austria. He came to wide public attention at the age of 23, in 1930, with his first book, Poems, followed in 1932 by The Orators. Three plays written in collaboration with Christopher Isherwood in 1935–38 built his reputation as a left-wing political writer. 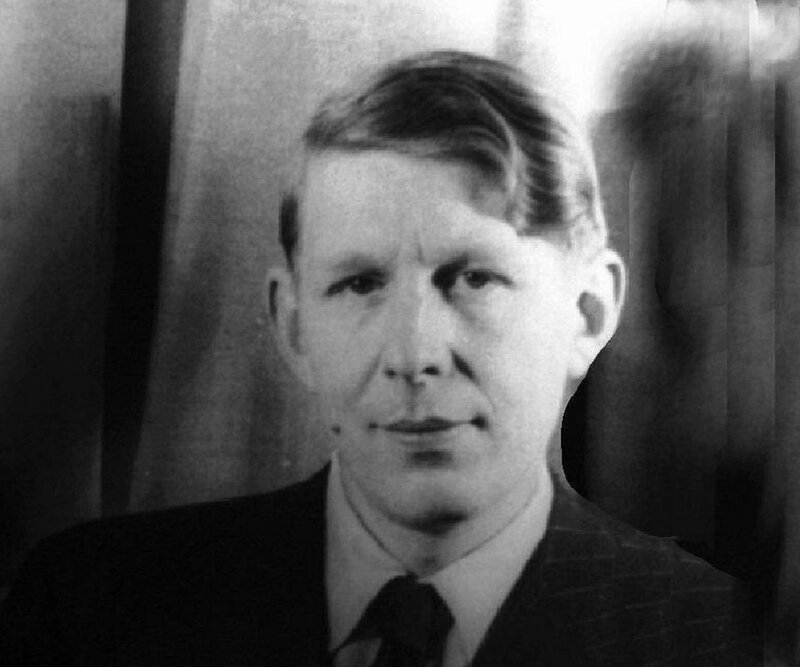 Auden moved to the United States partly to escape this reputation, and his work in the 1940s, including the long poems "For the Time Being" and "The Sea and the Mirror," focused on religious themes. He won the Pulitzer Prize for Poetry for his 1947 long poem The Age of Anxiety, the title of which became a popular phrase describing the modern era. In 1956–61 he was Professor of Poetry at Oxford; his lectures were popular with students and faculty and served as the basis of his 1962 prose collection The Dyer's Hand. From around 1927 to 1939 Auden and Isherwood maintained a lasting but intermittent sexual friendship while both had briefer but more intense relations with other men. In 1939 Auden fell in love with Chester Kallman and regarded their relationship as a marriage; this ended in 1941 when Kallman refused to accept the faithful relation that Auden demanded, but the two maintained their friendship, and from 1947 until Auden's death they lived in the same house or apartment in a non-sexual relationship, often collaborating on opera libretti such as The Rake's Progress, for music by Igor Stravinsky. Auden was a prolific writer of prose essays and reviews on literary, political, psychological and religious subjects, and he worked at various times on documentary films, poetic plays, and other forms of performance. Throughout his career he was both controversial and influential, and critical views on his work ranged from sharply dismissive, treating him as a lesser follower of W. B. Yeats and T. S. Eliot, to strongly affirmative, as in Joseph Brodsky's claim that he had "the greatest mind of the twentieth century." After his death in 1973, his poems became known to a much wider public than during his lifetime through films, broadcasts, and popular media.